Your marketing team may use several buzzwords to describe their efforts – one might call it a “unified view of the customer,” or another might refer to it as “a central source of truth.” While every marketing team might think it has its own 360-degree view of the target audience, it’s usually not possible without a unified, integrated system for storing customer data. This is where Customer Data Platforms (CDPs) come in. 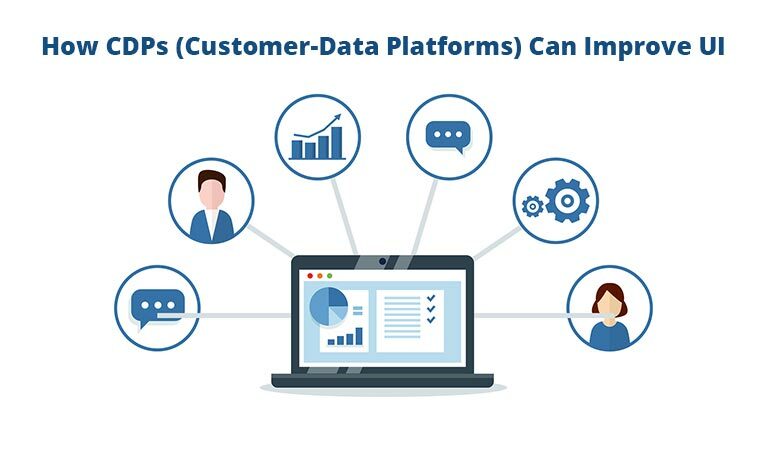 Customer data platforms first arrived on the marketing scene in 2013, but in recent months, they’ve become less of a buzzword and more of a staple. Senior marketers focus on creating data-driven relationships with their customers; in an era of customization, customers are less interested in mass appeal and instead want experiences that speak directly to them. This is where the marketing technology, or “martech” industry, was born. Customer data platforms help provide a 360-degree view of a customer, including how they live and interact with a company’s brand. This seems like a tall order, but CDPs represent the next step in making customized experiences a reality. According to a report by the Gartner Institute, CMOs will control the largest portion of the technology budget in 2017. This highlights the shift in the industry from one of mass appeal to leveraging technology to create individualized, tailor-made experiences. One of the most important distinctions of a CDP compared to other forms of data collection is that they focus solely on your existing customers. Marketers already have a legion of tools for nurturing potential clients, but this is the only format that will provide a wealth of well-organized insight on your current customer base. The goal of a CDP is to create a real-time profile of a given user. It stores personally identifiable information (PII) and other data to create a comprehensive view across several platforms. While other forms of data collection leverage cookie data (which is anonymized), CDP is the only customer data-collecting platform that effectively amasses usable, specific data, even within applications. Create more effective user profiles. CDPs collect massive amounts of specific user data, which you can use to inform your user profiles. In the UX world, we know the power of a good persona, and using CDP data to hone your 7-11 key personae will go a long way in assuring a relevant user experience. Inform your site redesign. Web design has never been a static practice; its best practices and principles evolve faster than most. While there will always be a place for intuitive, responsive web design, the discipline is evolving to encompass the needs of the individual user. Your enterprise CDP can be the go-to source of information for gathering data for segmentation and improvement. For example, your CDP may be able to establish what your visitors are doing on a website, when they bounce, and which devices they use. This will help you design more robust, interactive experiences going forward. Improve the user experience at certain moments in a customer journey. Using analytics like the bounce rate, you can see where customers drop off and leave your site. You might even be able to segment this data into groups and see which aspects of your website appeal to different personae, and where you’re struggling to engage others. Web design is both a science and an art form. Designers must follow industry best practices while delivering a product that’s attractive and intuitive to the most users. If your customers are mostly males in their 50s and 60s using desktop devices, for example, it wouldn’t make much sense to use touch interactions and flashy fonts and colors. Men in this age group are more likely to respond to traditional, masculine colors, and standard click interactions will make them more willing to stay on your site. A web design’s complexity of interaction goes hand in hand with our first example. However, each customer has a different technological expertise, so his or her level of interaction complexity will vary. While our aforementioned population of older males might need a basic level of interaction, early adopters and younger populations will crave more. In the context of an e-commerce store, the former will benefit from simple grids and an intuitive checkout process. The latter, on the other hand, may require more – they want an entertaining and stimulating way to buy the products they’re looking for. A website is only as good as its content – how you speak or get your point across will influence your customer’s decisions at several points throughout your site. While a younger crowd or early adopters may respond to colloquialisms and hip nomenclature, older audiences might want you to get to the point while still presenting the information in an interesting way. Your website might be up 24/7, but you still require downtime for maintenance, and you need to know the best times to update content or release new products. Your customer data can provide valuable insight to these aims. Understanding when your customers use your site is just as important as how they use it – it plays a valuable role in your overall customer experience. For example, mothers might do the bulk of their shopping after they drop off their kids at school for the day or after their children are in bed. This might be the best time to launch new products since moms are perusing your site without interruption. Use customer analytics to plan your downtime and arrange other key events for your content – this assures that you’re minimizing inconvenience for your users while making your website as engaging as possible. Since CDPs are relatively new, there’s some debate as to who should control them. Some believe that the marketing team should be in control of this unique customer data, while others believe IT departments should have the dominant share. No matter which department controls the data, however, website designers can leverage it to create intuitive and tailored website designs. Data can help provide valuable information about how and when users interact with your site and content, which can inform decisions regarding tone, timing, and even the complexity of your user interaction. Data will continue to play a dominant role in web design and customer interaction in general in the years to come. Don’t neglect the power of your CDP in creating compelling, user-friendly websites.